The main purpose of our 2015 trip was building relationships with the other workers in the area. So we were delighted to work with the folks at the Andrew Connelly School of Preaching in Kisongo, near Arusha. 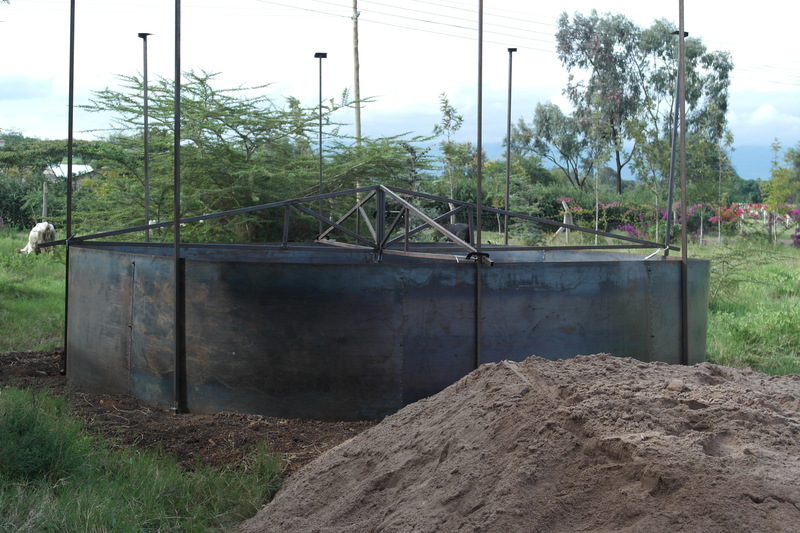 We started building a rainwater collection system for the school. Because the school is buying water in tanker trucks during part of the year, this would save them a lot of money. It could also provide higher quality water than they currently have. 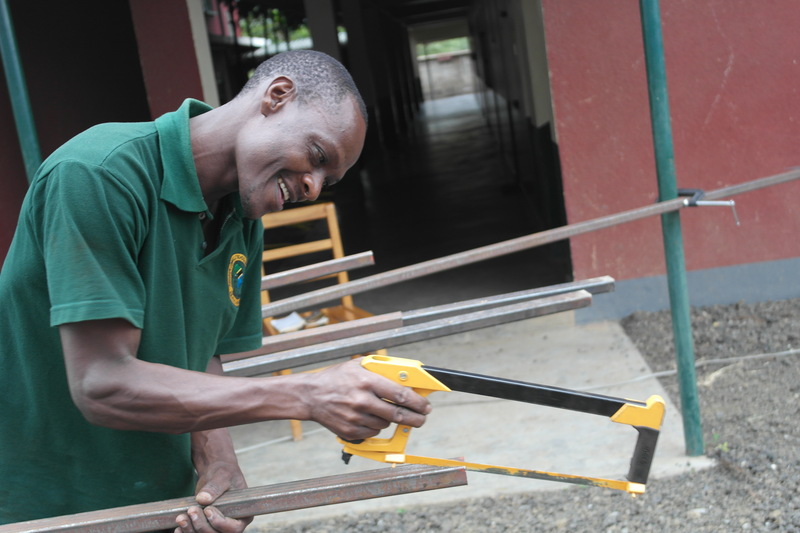 It would also support the drip irrigation system that they use in their garden. As you can see, this is a large complex, with a lot of roof. After discussion with Cy Stafford, we decided to build a small system to test our construction design. We chose to work with the two small roofs on top of the dormitory complex. All the roofs have eavestroughs installed; we just converted them to a rainwater collection system. I worked quite closely with Lairumbe while I was working on this system. I showed him how to build a “first flush” system, and then asked him to build the next one. When another of the students came to see what we were doing, I asked Lairumbe to explain to them what we were building, and why. At the end of one day, he asked me to come to meet his fiance. They hope to be married in December. 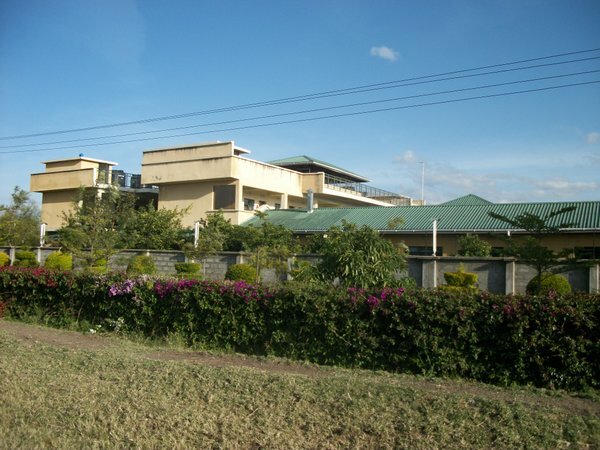 Lairumbe is from Monduli Juu, where we will be living next year. His father is one of the elders in the community, and his half-brother Koimere preaches in Monduli Juu. 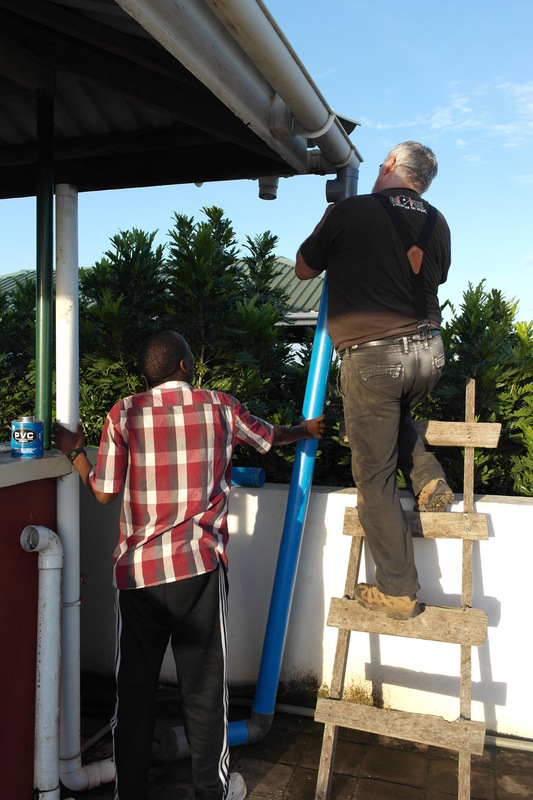 We connected the gutter systems on both dormitory roofs to the 5000 liter storage tanks already in place. 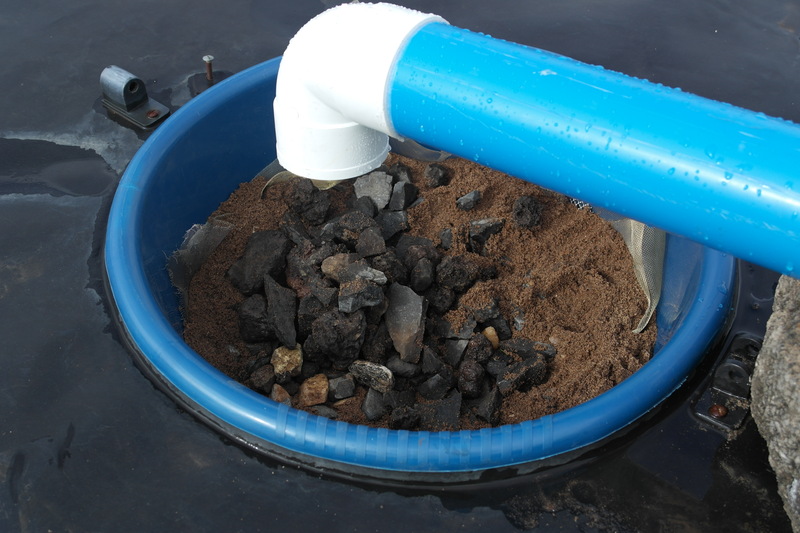 We built a sand filter to capture any large particles that escaped the first flush system. And then we went to work on a large steel tank on the ground, to capture overflow from these rooftop tanks. A local contractor was hired to construct a PVC liner for this tank, which will be 12 feet deep when completed. Unfortunately, I was injured, and was unable to complete the tank. 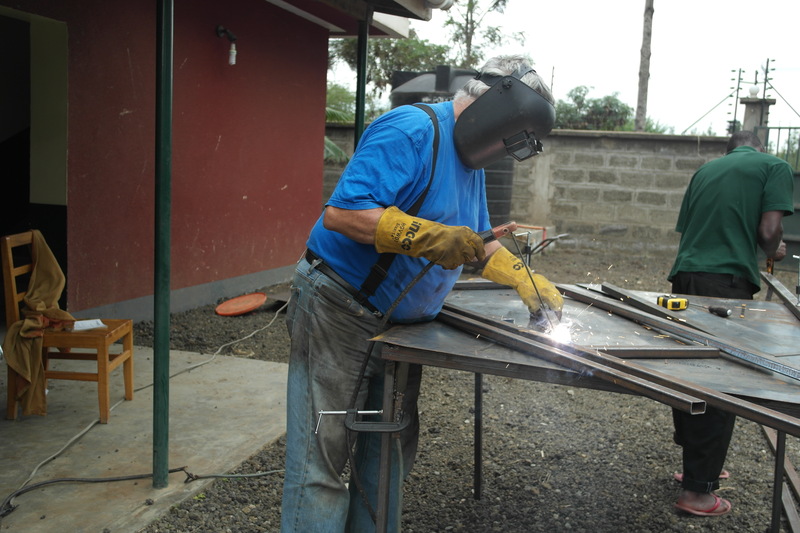 I spoke with Ely Martin, a christian and local contractor (I had been using his welder), and I believe he can complete this project. If not, I expect to work on it again on our return to Tanzania in 2016. Full disclosure: I was injured largely because I was working by myself at the time. I have been ordered not to repeat this error. I received treatment at the Tanzania Christian Clinic, and am fully recovered. The advantages of this system for the school are quite obvious: better water, more water, less expensive water. However, the huge advantage for me was the opportunity to work closely with both the faculty and students of this school, building relationships that we hope will last for many years.